Adding to the noise and singing in the stands you’ll usually see banners, flags and other signs in the south end of BMO Field. 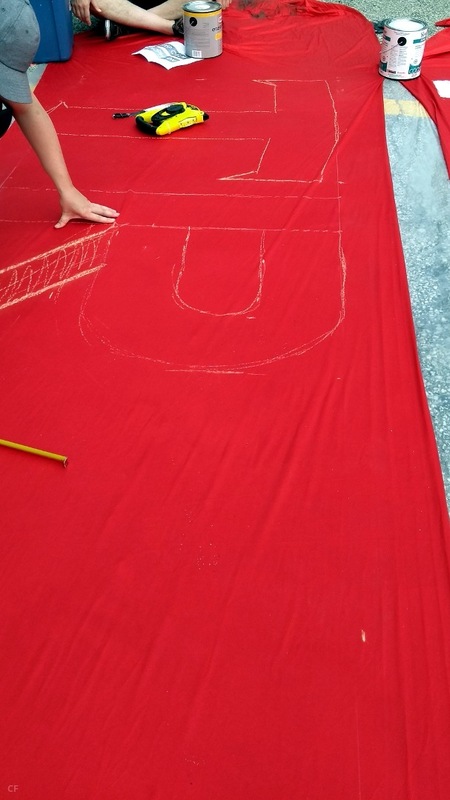 It’s what supporters do – signalling our support to the team and fans alike. 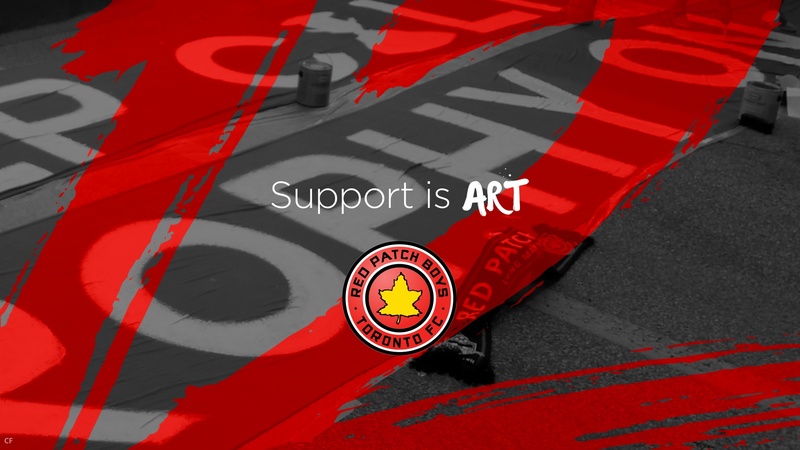 Their creation always has to start with some inspiration which can come from the team on the pitch, the supporter culture around us, current events and sometimes current opponents. For this one, we had been looking for awhile for something to inspire in a year with seemingly more downs than ups – and then it hit us. A fresh Canadian Championship success was enough to give us a ‘lightbulb’ moment and also provided a positive sentiment we needed. Working with other supporter groups Kings In The North & U-Sector we went for something simple that was an effective message for the team and for the supporters in the stands on both sides for an upcoming match against derby rivals Montreal. It’s always good to get together and produce something that’s a creative expression of our shared passion for the team. 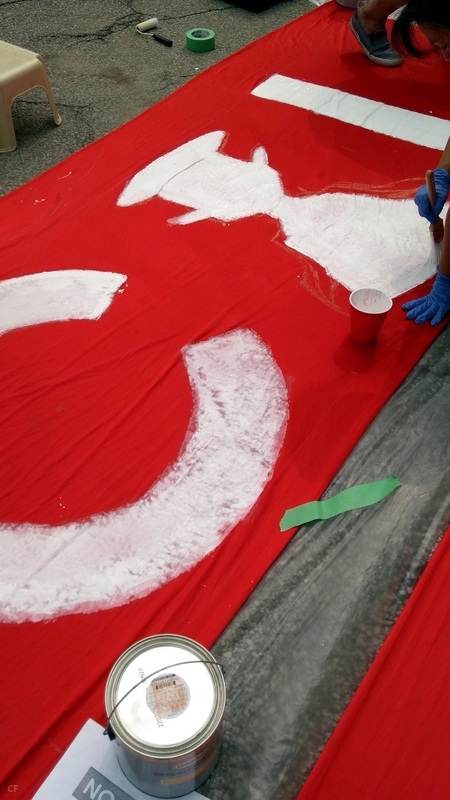 So for an afternoon we got to work with material, painting supplies and some beers (during and after) and the result were some banners ready to add to our atmosphere on match day. If this looks like fun to you, become a member and look out for project announcements as they happen! 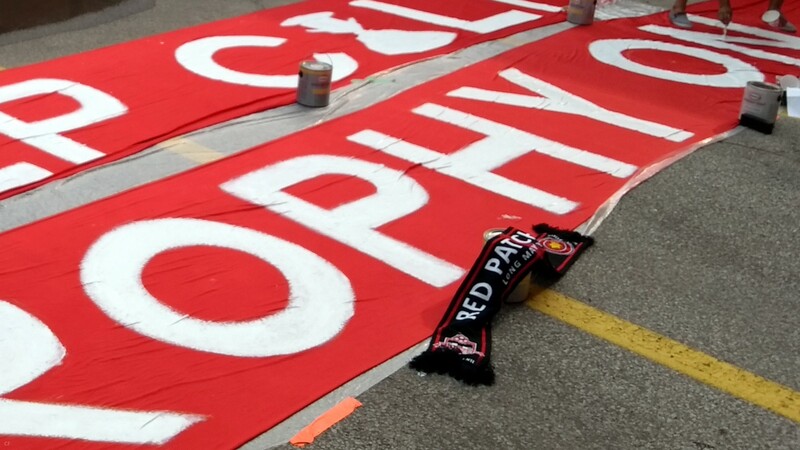 Here’s some behind the scenes pics and the final product up at BMO with the message for all, Keep Calm and Trophy On.